Taking advantage of good Florida Keys fishing tips can make all the difference in how your fishing trip turns out. You'll need to know where to go for best Florida Keys fishing results, and what fishing tackle to use, so you'll have the highest level of success on your fishing expedition. You also need to know that fish are affected by water temperature, so both the predator fish and the fish they're after are always on the move. Florida Keys fishing tips are many, but one of the most obvious, and sometimes overlooked fishing tip is communication. To be successful, you have to be on top of where the fish are, and what they're feeding on at that particular time. The best way to keep abreast of where to go, and what to use, is to talk with other sport fishermen. You can also ask questions at bait shops and they'll tell you what they've heard reported by others who've been fishing in the Florida Keys. 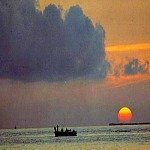 Another helpful fishing tip is to read local Florida Keys fishing reports. They carry the current fishing information on what's biting, where to go for best fishing results, and what fishing bait to use. You also need to know what bait fish these saltwater fish eat and how to catch them. By using the bait fish your targeted saltwater fish has for dinner, means you'll significantly up the percentage of success you'll have fishing Florida Keys. Another important fishing tip that's so obvious it can easily be overlooked, is that any of the Florida Keys fishing charters will know where the best fishing action is that day. They know which fish are in season and so they're able to use the right fishing equipment and go to the best places so your fishing trip is productive. Not only do they know what to fish for and where to fish, they understand the impact that weather and water have on fishing trips. These 2 factors can make a big difference in determining what's biting and where to go. Whether your fishing trip should be out in the Atlantic, inshore, or Gulf side. Due to the various conditions and elements that combine to create either a successful or unproductive day fishing, it's often advisable to plan a fishing trip, your first or even second time, with a fishing charter company or a qualified fishing guide. Not only do they have the knowledge and the right fishing equipment for where you want to fish, they carry the necessary fishing licenses so you don't have to. They are also well versed in the fishing regulations mandated by the State of Florida. They know what species are protected, bag limits, length and size requirements and other restrictions so no legal issues arise as a result of your saltwater fishing trip. 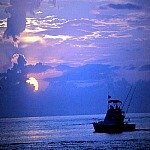 In the box below you'll find Florida Keys fishing charters broken down by area. You can click on any image or name to see a preview of various charters in that area. 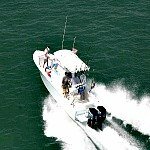 You'll also be able to click on the Check Rates Button so you can see what the different charters cost, and also find out more about where they fish, what they fish for, what fishing equipment they use, boat specifications and options that are available to you, including days they are available for trips. 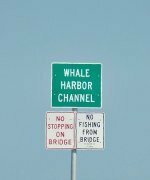 Remember this is the Florida Keys, the fishing capital of the world, and charters, especially during peak season can book up fast. If you're planning a Florida Keys fishing trip you'll want to book your fishing charter as soon as you can, so you're able to go with the fishing guide you want, on the day or days that are best for you. Another important fishing tip to remember is that if you're going Florida Keys fishing on your own, you will need proper fishing licenses and permits. It's also essential that you're fully familiar with the various fishing regulations so you can stay compliant and still have fun. One of the best Florida Keys fishing tips you can get is to make sure you have good fishing equipment. Your saltwater fishing tackle must be in proper working order, and ideally geared up specifically for the saltwater fish you're targeting. Obviously every sport fisherman's goal is the same. Catch the legal limit of Florida fish and hook as many big ones as possible. However to do this you must have strong hooks and highly effective lures that will consistently entice the saltwater fish to bite. You'll also need to use the right bait, and have strong lines. Typically braided lines work the best, especially under hard fighting conditions. You also need to have quality rods and reels that will handle the weight and hold up to the strenuous battle of fishing the Florida Keys. Unfortunately, this usually ends up spelling disaster. The excitement of catching a prized saltwater fish can pale suddenly when you watch it slip back into the water and swim away. This scenario will happen more than you want if you're not taking precautionary steps. A mantra that should be repeated often is that your fishing line is only as good as the knot you use. You're fishing the Florida Keys, and saltwater fish have sharp teeth. They'll bite through a line fast, so you need to be prepared. 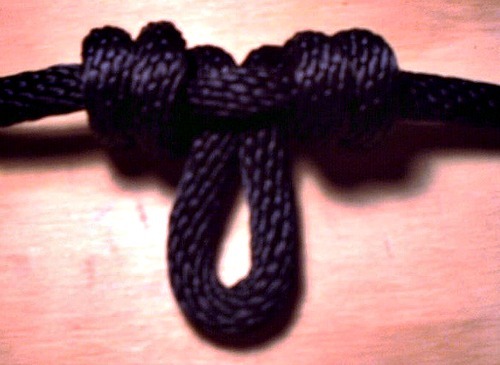 Quality line, and top notch knots will save the day - if you remember to use them. 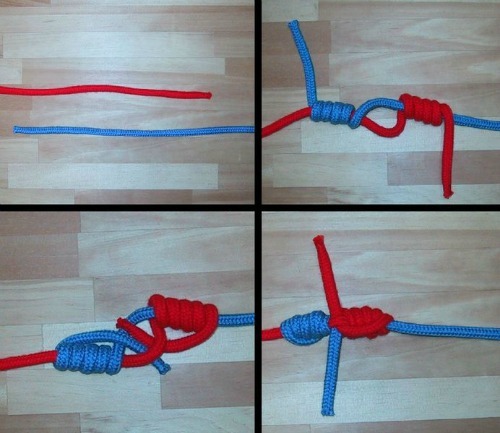 Most fishermen have a favorite knot, they typically opt for something fast and simple like these 2 all around fishing knots. These fishing knots will get you through most situations but you'll likely find that saltwater fish may need more finessing, and you'll have to hone your knot tying skills if you're going to reel in what you hooked. Below you can browse through an assortment of books that specialize in tying knots and how to properly attach leaders so your fishing trip isn't ruined by letting the 'big one' get away! Perhaps the most important of all Florida Keys fishing tips is a cautionary warning about lightning. Contrary to popular opinion Florida is not the lightning capital of the world. However, Florida is third in the nation for most lightning strikes and first for the greatest number of deaths and injuries. The summer months are in the rainy season, and this is when the thunderstorms build every afternoon. Florida Keys weather advisories are only as accurate as mother nature allows, and so it's important to keep a watchful eye to the sky. If you see dark clouds building and anvil shaped clouds forming, you'd best head for shore and fast. Boats are not the safest place to be when an electrical storm is building. Even boats that are equipped with lightning protection systems are not necessarily safe. If you can't get to shore before the storm hits, then get inside the boat so you're under cover. Don't touch anything metal, and don't touch any 2 pieces of equipment that may be tied into the same operating system. It's best to assume a crouching position with your arms wrapped around your legs. As room allows, also try to space yourself as far apart from anyone else in the boat with you. You need to remember that lightning can strike one mile ahead of the storm so when you see or hear lightning off in the distance, take cover or get to shore immediately. Other good Florida Keys fishing tips involve your personal fishing gear accessories. Just like the fish, the sun is always in-season so you need to bring and wear lots of sunscreen and wear a hat. You also need to keep it off your hands, as the Florida fish you're trying to catch are not going to want your bait if it smells like sunscreen. Also bring a camera, preferably one that's waterproof. Florida Keys fishing tips include practicing catch and release and many Captains and their guests choose to do so. If you don't bring your camera, how are you going to prove to everyone back home that you really did catch the big one! Florida Keys fishing tips include making sure you can see what's going on when you're out on the water. You need to prevent the glare that builds up on the gin clear water of the flats, or anywhere else in the Keys. You want to see where you're going and you must be able to see the fish. The sun's always shining, so sunglasses should be an integral part of your personal fishing gear. Amber, smoke, or brown shaded polarized glasses work the best - they'll cut the glare and allow you to see the fish below the surface. 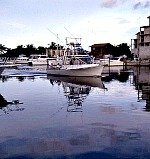 You'll find that there are lots of great Florida Keys fishing tips. For example, a good saltwater fisherman's favorite tip is to keep baby powder on hand. If you put baby powder in one of your tackle box compartments, it'll absorb the moisture and prevent your tackle from rusting. The key is to have the right sized tackle box that can handle your fishing gear and be easily accessible. Every sport fisherman will have a good story and tip to share, but once you've wet your line, and brought in your first big fish, you'll have a good head start on your own Florida Keys fishing tips and tales. Florida Keys fishing tips include monitoring the fishing tackle you use. To fish the Florida Keys you need heavy line and heavy equipment. Your rod has to be able to handle the stress of a big hit. Your reel has to be able to crank down hard when it needs to, and your line has to be strong enough to stay in tact. People often use a line that is too light, or one that is old and worn. Fishing line is susceptible to sunlight and other elements such as car exhaust and heat. Plus, if it's been on the reel more than a year, you should replace it. If it kinks or looks chalky then it most likely will not stand up to the strain of a big fish taking the bait. If it snaps - you loose your fish, it's just that simple. You can find many of the other essentials you'll need for your next fishing expedition by browsing through some other selections below. You'll notice there is also a handy search bar below each section so you can fine tune your search and get exactly what you need - whether it's fishing gear or something else you've been looking for. Browsing through these Amazon selections is easy, and even better, you'll get the best pricing. Comparative shopping is a breeze, you can read customer reviews on different products you may be interested in, and you're dealing with a company known for exceptional customer service.